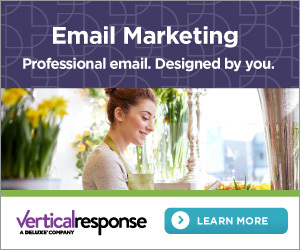 Do you want to run an effective email marketing campaign for your business? If YES then you are at the right place, here in this blog you will learn about a cheap but professional email marketing tool. Email marketing platforms are very helpful for any online/offline business to grow their customer. These tools allow one to effectively manage their email activity and reach to their consumers in an attractive manner. If you really want a perfect solution for your email marketing needs then you have to be careful as selecting the wrong tool can affect your business. Here, I am reviewing one of the famous email marketing tool which is also known as for their cheapest price i.e. ActiveTrail. This web-based email marketing tool is not only limited to the email marketing as along with this, Activetrail also provides lots of other services such as Marketing Automation, Email Marketing Templates, Landing Pages Creator, SMS Software, Easy Integrations, and Online Surveys. In order to manage an active relationship with your customers you should use ActiveTrail. 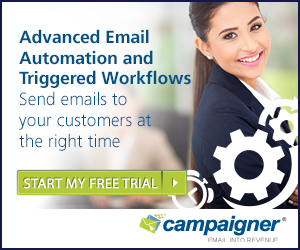 This tool now becomes the market leader in email marketing, and several of the small, mid and big organizations are currently running their email campaign through this tool. It provides approx 100% delivery rate with advanced anti-spam fulfillment, manages ISP relations, multilingual platform, allow user-friendly designing of email business communications which includes campaigns and newsletters, and also offers advanced reporting & analytics. 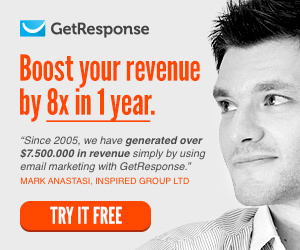 This advance email marketing tool allows any companies to boost their use of email and reach the higher return on investment (ROI). ActiveTrail ensures the users that their emails and SMS are delivered without any delay or error to their intended beneficiaries. With ActiveTrail, you can easily achieve your target audiences within a fixed time of interval. This tool allows the user to design amazing emails and newsletters from the available options or the host of templates and fix a time in which you want to send them. 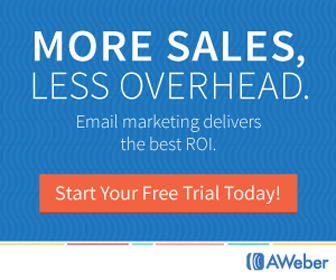 So, you don’t need to worry about the effectiveness of your email. As this tool not only engages your consumers with their attractive & eye-catching messages, they also do it at the perfect time. Along with all, ActiveTrail is designed with behavioral triggers and auto-responders so with these techniques you can continuously engage your users. This service tracks the complete record of your consumer’s behaviors and automatically triggers an email based on their last activity. It’s little tricky to gain additional leads with the help of landing pages. In this job, ActiveTrail will help you and enhance the chances of getting visitors’ contact information (email). This web-based application allows the users to create eye-catching landing pages from the available templates that work perfectly. All the available templates are responsive so you don’t need to take tension about the platform (Mobile/Tablet) used by your customers. This service also provides the option to use custom domains so you don’t need to worry about spam filters and all. ActiveTrail allows their user to reach their customers via another way of communication, such as mobile SMS. With the help of this tool, one can run and boosts their open and click rates with SMS campaigns. You can customize the messages, send and even describe their sender ID to provide the complete detail of the message to their recipients. Via surveying about anything you can easily plan the market strategies OR easily know the need of their consumers. Go with the ActiveTrail, and it will help you to create surveys with questions related to the information you want. Furthermore, all of these surveys can be executed on a business website, sent via email or SMS. This will help you to get the more reliable report for your survey as you can choose the most appropriate method for your consumers. How much you Need to Pay for ActiveTrail? Note: All the above monthly plans allow the user to send limitless emails and access to all ActiveTrail features. Note: SMS messaging is not available in the USA yet. If you want to earn more visitors via Email Marketing then you must use this professional tool. It is one of the effective and cheapest email marketing services for online/offline business. So it is clear that this multi-channel email service provider offers an advanced marketing platform for the users. But it is recommended that first go with ActiveTrail 30 Days Free Trial. And if this tool suits your business then you can subscribe any paid plan to unlock all the other features.